The First National Bank building, which came to be known as “Dublin’s Skyscraper,” was designed by A. Ten Eyck Brown and built in 1913. The six story structure houses a marble lobby and is registered with the National Register of Historic Properties. This building remained a bank until the early 1950’s. Garbutt Construction Company is completing an extensive restoration of the entire building. The outstanding project is a public-private venture between the Dublin Downtown Development Authority and Walters Income Properties of Gainesville, Georgia. 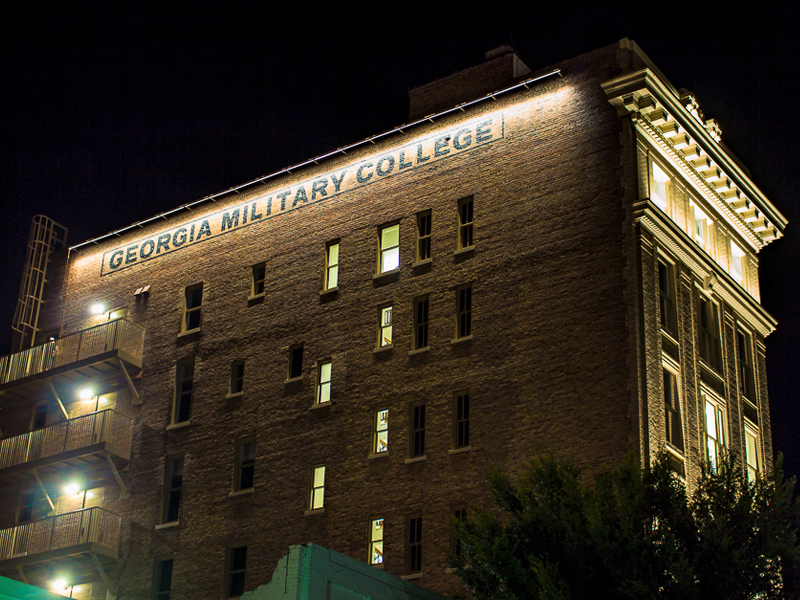 Georgia Military College, headquartered in Milledgeville will open its tenth satellite campus in this fine old place and occupy four of the six stories. The property maintains its unique and historic character but will feature the most advanced in teaching technology including state-of-the-art fiber and internet capabilities. After being unoccupied for over 20 years, the First National Bank Building will now be revitalized to showcase its historic grandeur.